Celebrity Products: Is Kim Kardashian's divorce news the beginning of the end of endorsements? 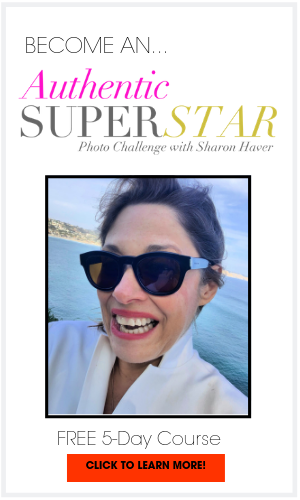 Sharon Haver - FocusOnStyle.com Style Expert and Online Business Personal Brand Success Strategist for fellow women entrepreneurs, Sharon Haver shares expert fashion, business and lifestyle tips to step into your STAR Power. The FocusOnStyle fashion blog was founded in 1999, and includes the 7 Days to Amazing Podcast, and Quick Tips how to video series. Kim Kardashian’s divorce news, is it the beginning of the end on celebrity products? In the wake of Kim Kardashian’s divorce announcement and her pr-powered mega wedding event, one has to wonder how her divorce will impact the way consumers see her brand. Could this possibly be the beginning of the end on fashion and beauty products built on celebrity brand power? Let’s think celebrity products- does it really ever work? Paris Hilton, Lindsay Lohan, Sarah Jessica Parker, Jessica Simpson , The Kardashians, Jennifer Lopez, The Olsens, and The Housewives franchise… love their products or leave them? I need to address this subject; as much as I love Sarah Jessica Parker’s, her Bitten line has long bit the dust, as has her days at Halston Heritage. Is there really a market for fans to run out and buy your favorite stars taste? Trends come and go as do celebrities. 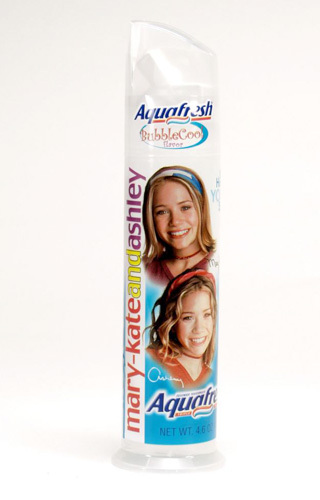 We love The Row & Elizabeth and James for clothing, but toothpaste? Paris Hilton’s perfume line has reportedly grossed close to a 100 million; that’s not small change. The response to her last brush with the law resulted in the cancellation of pre-sale’s of her lasted perfume, but that doesn’t stop the ca-ching bling on her watch line. Considered by most an industrywide joke we still can’t get enough of Paris; at least David Letterman thinks so. This recent appearance translates into the brands attempt to re-launch her by using the media to get her audience back; let’s see if it works. Jessica Simpson landed on the cover of New York Magazine “The $1 Billion Girl” so what makes this brand work? The girl next door with accessible pricing? 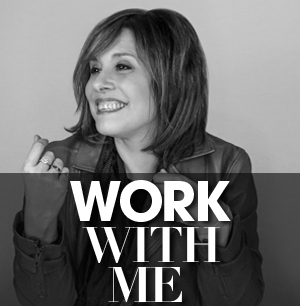 She has 22 different licenses; to think this all started with a shoe collaboration with Vince Camuto co-founder of Nine West. I believe that you can’t put a price on style and she appeals to that girl that wants to feel pretty and doesn’t have an unlimited Amex, but loves some fab shoes and bags. That’s why her brand works! These other stars buy into their celebrity status and think they can edit a collection like John Galliano’s and sell it at those prices. What was Ungaro thinking signing Lindsay Lohan on as their creative director? That backfired after one season. Then you have the whole Housewives franchise– these woman were catapulted into our living rooms, and now most of them our branded and hocking their wears on TV and in store appearance’s. I ask you are we that media obsessed that we believe these stars have created the perfect product? When you slap your name on a bottle of wine have they gone to far? The Kardashians don’t think so with news reports that their empire will net $65 million this year. Will you be buying the Kardashian Kollection, pictured above and in the video below only at Sears? Or a piece from the Belle Noel by Kim Kardashian jewelry collection? The answer seems to be yes in the case of Jessica Simpson, the Kardashians and the Paris Hiltons of the world. Thankfully, The Olsens have demonstrated design talent with The Row and Elizabeth & James. Brad Boles landed in New York in the early eighties at the height of “Girls Just Wanna Have Fun" and worked his way up the make-up artist ladder to fame with his work being featured on the cover's of countless fashion magazines, as well as editorial spreads. MTV was his playground working with the most celebrated artists of the time from Pat Benatar to Grace Jones. When Hollywood came calling, he landed his first film doing Kim Cattrall’s make-up and went on to work with Reese Witherspoon, Gina Gershon, Sandra Bernhard, Karen Black, Billy Zane, Andrew McCarthy and more. Brad was the creative director for Denise Rich for 12 years as her stylist and make-up artist, as well as designing her legendary parties for such luminaries as President Clinton, Patti Labelle, Natelie Cole, and Richard Avedon. Later, Brad opened a store of exotic interiors in NYC in 2002 and then opened a store in Moscow! Brad also designed the Zarin Fabrics showroom with Jill Zarin thus leading to being on the “The Real Housewives of New York City” seen as Jill Zarin's gay husband. Brad is currently working globally on interior projects and has been busy doing interiors in New York City, The Hamptons, Moscow, Morocco, and Dubai. He has shot the pilot for his own TV show produced by Nancy Glass Productions. Look for his coffee table book, "The Art of Extravagant Luxury" coming soon. Brad and Sharon Haver are developing a style book and series. 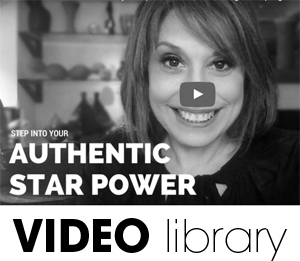 Watch the best of my how-to videos to help you elevate your life, business and style! Be the best at being you! 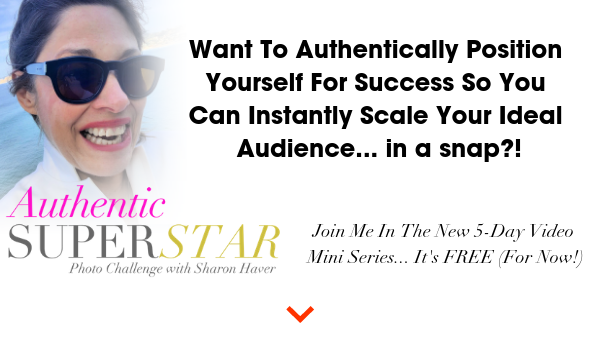 Curated insider tips to help you + your business get out there, and exclusive bonuses to elevate your STAR power!